The Right to Know Day Awards Ceremony in Bulgaria is an important raising awareness campaign tool and a stimulus for developing good access to information practices by public bodies. 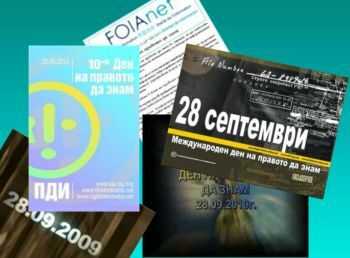 The Right to Know Day campaign in Bulgaria is of national scale. Access to Information Programme (AIP) coordinators in the country, who are all journalists, are assisting the media campaign preceding and accompanying the Right to Know Day by publishing and broadcasting in local media.